Our daily beach cleanup commitment was not dampened by a stormy morning in Tunku Abdul Rahman Park. 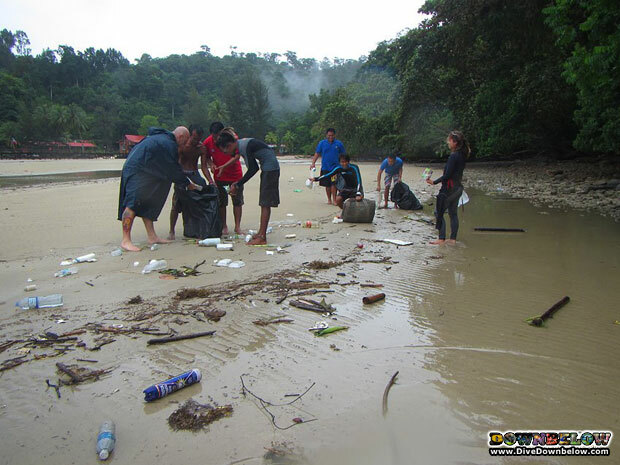 The Downbelow team put on their raincoats & wetsuits & started cleaning up to support Project AWARE’s marine debris awareness month. We clean the beaches daily 365 days a year but this month we are putting in extra effort with the entire crew working hard in cleaning up the shoreline before we start our workday! You too can join in – you might not be able to clean the beach but clean the environment around you. You also can change your lifestyle – use less plastic and throw your rubbish responsibly!